Famous Trees in Movie | Mr. Tree, Inc. While there are countless trees around the world, there are a select few that have made their impact on being famous because of their appearance in movies. Thanks to the Hollywood touch, these trees come to live and sometimes are essential to the movie’s success. The good things about trees are that they can serve a variety of roles and they can be pivotal to the protagonist’s success or failure. Groot from Guardians in the Galaxy: This tree-like creature is a fighter for justice. For some reason, he has an unhealthy fascination with his own name. In fact, he’s a character of few words. Throughout the movie, the only thing he says is “I am Groot.” While his words are few, the impact Groot has on the movie is plentiful. The Possessed Tree from The Evil Dead: Not all trees are remembered for being the good guys in movies, and this is certainly a case of that. In this 1981 movie, this especially nasty tree comes to life in a dark forest and attacks an unsuspecting victim. Watching a horror movie like this one certainly makes people think twice before walking into the woods at night. Treebeard from Lord of the Rings: Treebeard is the leader of an ancient species called Ents. Among the oldest living creatures, they are most often a peaceful species. Of course, when Saruman crosses the line, they are prepared for one last fight, which Treebeard leads. Tree Monster from A Monster Calls: While a boy struggles to deal with his mother’s illness, this intimidating creature actually provides him with help on how to cope with his emotions. The is certainly one of the more interesting roles that Liam Neeson has played throughout his career, as he takes a break from his usual Taken-type persona. The Apple Trees from The Wizard of Oz: Yes, Dorothy, Scarecrow, Tin Man and the Cowardly Lion were off to see the Wizard, but they encountered an interesting set of apple trees along the way. Even though the apple tree’s apples fell off, the tree was still quite territorial about Dorothy and company feasting on its fruits. Unfazed by the interaction, the crew would continue on to the Emerald City. Tree of Souls from Avatar: This giant willow-like tree is said to be the closest connection Eywa on Pandora. This tree is an extremely significant one in spiritual terms. This large tree also works as a way for her to directly interact with the world through the tree’s seeds. That just one of the good things about trees in Avatar. Check it out if you want to learn more. Grandmother Willow from Pocahontas: You can’t have a conversation about famous trees in movies without bringing Disney into the conversation. In this classic, this talking tree is invaluable to the movie’s top star Pocahontas. It provides some wisdom that helps her move forward on her journey. You don’t want to underestimate her either. Even though she’s old, she has an attitude that’s displayed throughout the movie. 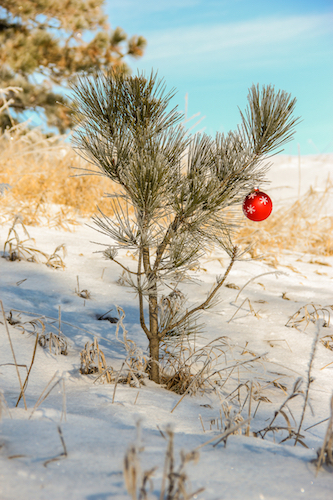 Tree from Charlie Brown’s Christmas: While this tree is far from the most impressive tree of the bunch, it still serves a valuable purpose for Charlie and company. The movie uses the tree as a metaphor for the long history of failure that Charlie’s gone through, but the tree remains an important symbol. Despite its weak appearance, it still brings everyone together, which makes it an important prop in the movie. Agent 13 from Get Smart: First of all, it’s hard to go wrong with Bill Murray, who’s played many legendary roles during his long and successful acting career, but this one was an interesting cameo to say the least. While his character can come across as annoying, all he wants is Agent Smart’s (Steve Carell) affection. Unfortunately for Agent 13, Smart has more important things to deal with, so he will have to look for affection from another source. The Tree of Life from Lion King: The tree of life served a multitude of purposes, but most notably was the home of Rafiki. This tree was so memorable, it’s now the centerpiece of Animal Kingdom in Disney World, and it features more than 300 animal carvings. It’s not every day that you can visit a famous tree, but if you find yourself at Animal Kingdom, you don’t want to forget about The Tree of Life. The Whomping Willow from Harry Potter: While this famous tree did not debut until the second installment of the Harry Potter series, that doesn’t diminish its value. Harry and his friend Ron crashed their flying car into the Whomping Willow on the Hogwarts school grounds. The Whomping Willow is known to attack anything that’s in reach of its branches, but it also is the key to a secret. Without providing any spoilers, Harry and his friends were astounded once that secret was ultimately unveiled. The Robin Hood Tree from Robin Hood, Prince of Thieves: Much like the Tree of Life from Lion King, this is an actual tree you can visit and see for yourself. The Sycamore Gap in Northumberland National Park is now the home of the Robin Hood Tree, as many have now coined it. This beautiful tree appeared in Robin Hood, Prince of Thieves, which starred Kevin Costner. Now it’s become quite the tourist attraction. For those in the United States, you’ll have to travel to England to find this. As you can see, there are a lot of famous trees that have appeared on the big screen. Aside from the various characters, trees themselves provide an element that just cannot be done by a human. Depending on the movie, these various trees have different roles, feelings, intentions and purposes. Ultimately, without trees, we wouldn’t be able to live, and the same can be said for all of these movies as well. As for other famous movie trees, there’s plenty. We were just scratching the surface.